Tone up those jiggly limbs with a mini exercise cycle. Perfect for a light exercise while watching tv, you can choose your difficulty levels with the adjustable tension. 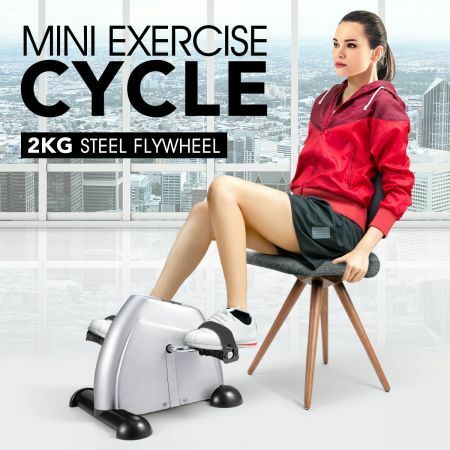 Simple and easy to use, this mini cycle is able to exercise your arms and legs. Simply pedal on it with your feet for targeting your calves and thighs or place it on a table top and pedal with your hands for working out your arms. 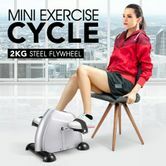 Set with 3 height adjustments, this mini exercise cycle is also lightweight and portable so you can take it to work, use it at home in your lounge or bedroom or wherever you want. Complete with a built in LCD for you to track your progress, you can get into shape easily with a mini exercise cycle today! This is a great machine for a good price. It is so easy to use while watching tv.